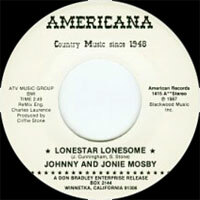 Duo Country US, Johnny et Jonie Mosby (Johnny né le 26 Avril 1933 à Fort Smith (Arkansas) et Jonie (née Janice Irene Shields le 10 Août 1940 à Van Nuys (Californie)), se sont mariés en 1958. Johnny And Jonie ont enregistré à la fin des années cinquante pour Challenge, puis ils sont passés chez Starday, Columbia & Capitol Records. 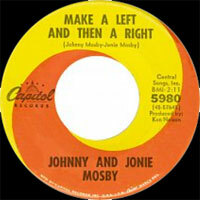 The husband-and-wife team of Johnny and Jonie Mosby played together for nearly two decades. Jonie, born Janice Irene Shields in Van Nuys, California, met Johnny (born in Fort Smith, Arkansas) when she auditioned for his West Coast orchestra. He hired her and by the year's end became her husband. 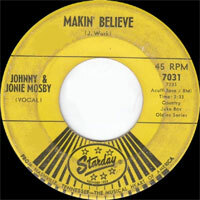 They appeared under the name Johnny and Jonie on their first single, "Just Before Dawn." 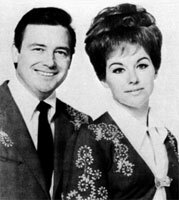 They signed with Columbia in 1962 and had their first charted single the following year with "Don't Call Me from a Honky Tonk," which made it to the Top 15. Their next single, "Trouble in My Arms," also reached the Top 15, and "Who's Been Cheatin' Who" made the Top 30. 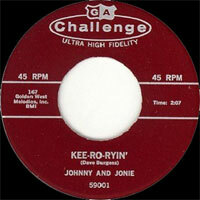 In 1964, the duo had two Top 30 hits. During the mid-'60s, the Mosbys were at the peak of their popularity and frequently appeared on such country music television shows as Louisiana Hayride, Big D Jamboree, and Grand Ole Opry. 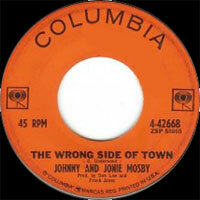 They released two albums between 1964 and 1965, Mr. and Mrs. Country Music for Columbia and Johnny and Jonie Mosby -- The New Sweethearts of Country Music for Starday. 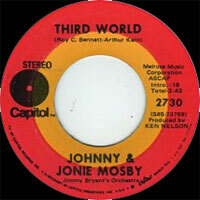 They later began recording more of their own songs and continued with a steady string of mid-range hits through 1970. 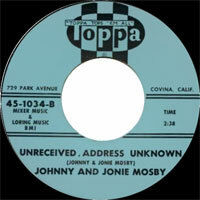 In 1971, the Mosbys' success began to wane and they only had one medium and one minor hit. 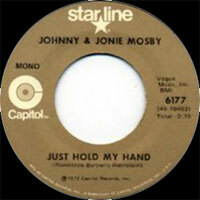 The couple split up that year, and Jonie found solo success in 1972 with "I've Been There." In 1992, Jonie Mosby made national headlines when the 52-year-old became the oldest woman in the U.S. to undergo in vitro fertilization and successfully bear a child.